"Cramming," the word is, new to our modern vocabulary. It's what happens when a large company--typically a telecom--bills you for services you didn't ask for and didn't want. Oh, sometimes you've agreed to the charges, technically. They're hidden away in the legalese of that fifty page terms-of-use you looked at for thirty seconds. And then every month, deep in the thickets of your incomprehensibly complex bill, there'll be a line or two detailing those charges that you'll just pay because you're in a hurry. 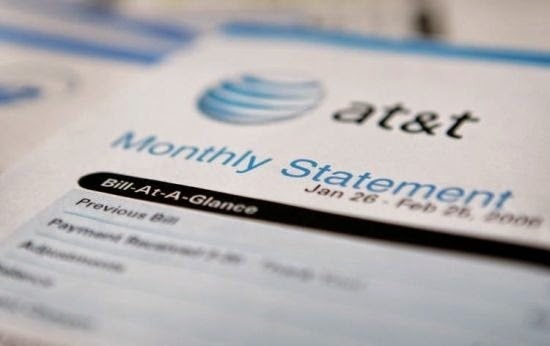 Twice in the last couple of years, I've had to ferret those charges out of our cell phone bills, as AT&T has "accidentally" provided us with nonessential extra services for about $15 extra bucks a month. Charges like "voice activated calling," which the phone they sold me already does for free. Or a "star-somethingorother" information service, because you know a smartphone just doesn't give me enough access to information already. "Gosh, how did those get there," AT&T has said. "Of course we'll take them right out." And so out the unnecessary stuff goes, at least until the next time they try to sneak something in there. It's been profitable for AT&T to layer in the stuff we don't need, hidden away in an incomprehensible thicket of charges. Hundreds of millions of dollars of profitable per year, actually, as a recent judgment against the company revealed. Things like this are why we don't trust big businesses, because we know they're always trying to sneak something in that we neither need nor want. It has occurred to me, though, that there's a Christian analogue. Something that Big Jesus does when it's getting you in the door. That thing? "Chramming" happens when you're drawn to the essential goodness of the message of Jesus of Nazareth. Compassion and grace, forgiveness and purpose and personal transformation? Lived out in my own life, and in a community of others walking that path? That's what you hear from the good folks who tell you about Jesus, and it's a pretty dang good thing. I want to be part of that! Sign me up! And so you sign up. But you notice, when you start paying attention, that other things are folded in. You have to believe God hates certain people. You have to believe some pretty bizarre things about the nature of creation, things that you know just aren't so from looking at things. You have to believe some pretty weird stuff about Satan and the Rapture and demons. Huh, you say. I don't remember signing up for that. But chramming in things that don't serve the heart of the Gospel does no one any good. If you have a belief you have to "sneak in there?" Honeychild, the odds are good that has nothing to do with what's important anyhow. Better to just stick with the reason folks showed up in the first place.